1. Fix, Localisation, Localization, Locating, Location : مقام : (noun) a determination of the place where something is. 2. Lieu, Place, Position, Stead : مقام - جگہ : (noun) the post or function properly or customarily occupied or served by another. 3. Place, Position : مقام : (noun) an item on a list or in a sequence. Kisi Cheez Kay ..., Faisla Sazi : Determination : the act of making up your mind about something. "The burden of decision was his"
Asami : Place : a job in an organization. "He occupied a post in the treasury"
Jaga, Muqaam : Place : the post or function properly or customarily occupied or served by another. "Can you go in my stead?" Faisla, Irada : Determination : a position or opinion or judgment reached after consideration. "A decision unfavorable to the opposition"
Muqaam : Place : an item on a list or in a sequence. "In the second place"
Jaga : Place : any area set aside for a particular purpose. "Who owns this place?" How this page explains Muqaam ? We help you understand the word Muqaam in English. We not only provide English meaning of مُقام but also give extensive definition in English language. 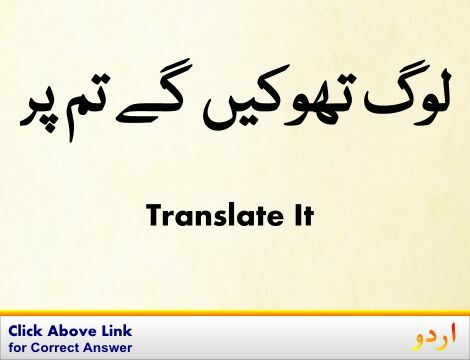 You can also find multiple synonyms or similar words along with Muqaam. You may also want to see Android app to get مُقام, please install Wordinn Urdu Android app now.